Funny thing happened yesterday, I attempted to create a site collection using the Publishing template and received an error about the publishing feature must first be enabled for the web application. 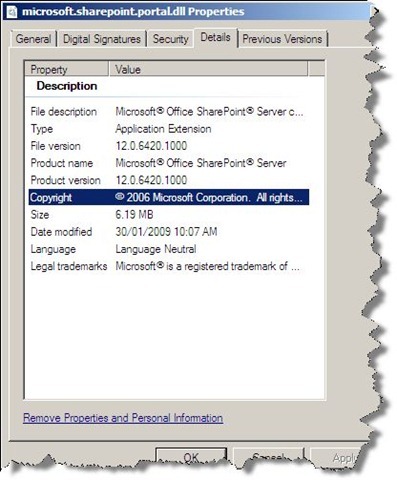 It turned out that during my MOSS 2007 SP2 install I had not installed the IIS Role myself (SharePoint can do it so why bother) and the result of which meant that SP2 for MOSS did NOT apply properly, SP2 for WSS DID apply properly. I verified this by checking the version of Microsoft.SharePoint.Portal.dll and found it was still RTM! See the screen capture below on the left. Once I reapplied SP2 I had to deactivate/activate the Standard/Enterprise features for the Web Application and then I was able to create my Publishing Site successfully. See the screen capture below on the right. 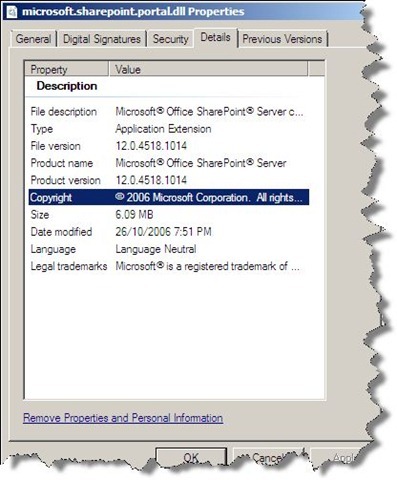 Make sure you add the IIS Role yourself under Windows Server 2008 before you install SharePoint 2007.